Thursday 24th May 2018, 19.00-22.00. 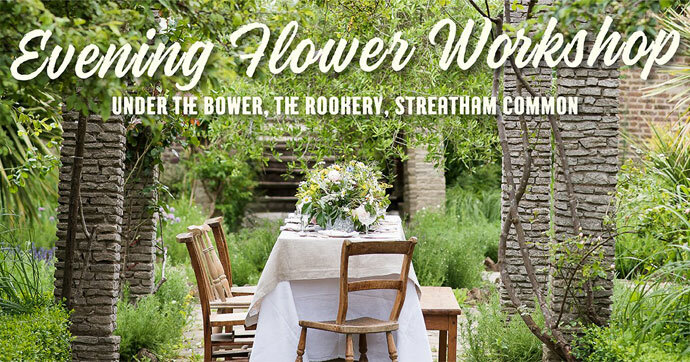 Spend an evening under a bower in the beautiful Rookery Garden on Streatham Common, with a glass of Pimms or elder-flower mocktail. Learn how to condition and make a table arrangement (foam free) using British-grown flowers and celebrate all that is in season at this time of year. Cost, including flowers, materials and Pimms/mocktail: £40.00. Meeting point: The gates next to The Rookery Café, Streatham Common South, London, SW16 3BZ.